Segment makes it easy to send your data to LiveChat (and lots of other destinations). Once you've tracked your data through our open source libraries we'll translate and route your data to LiveChat in the format they understand. Learn more about how to use LiveChat with Segment. LiveChat’s chat box will appear on your page and you can start chatting with visitors. LiveChat is only supported on the client-side. When you call identify on analytics.js, we take all the traits you provide and set them as custom variables using LiveChat’s set_custom_variables function. We use the userId you provide to identify as a custom variable called User ID. 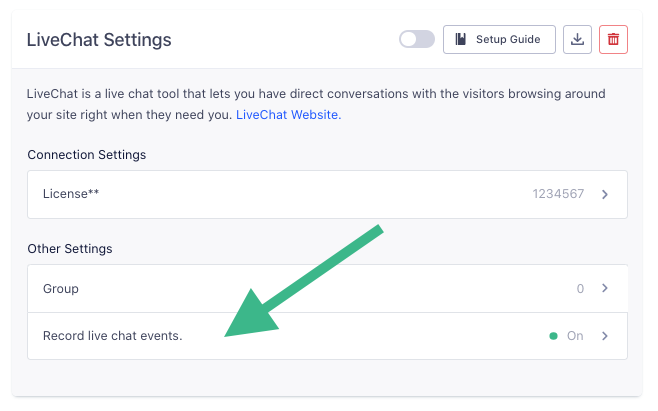 Automatically send Live Chat message events, conversation starts and ends to other tools you have enabled.